This rolling pin was inspired by my wife's family prized heirloom; a rolling pin that has been in the family for over 6 generations. 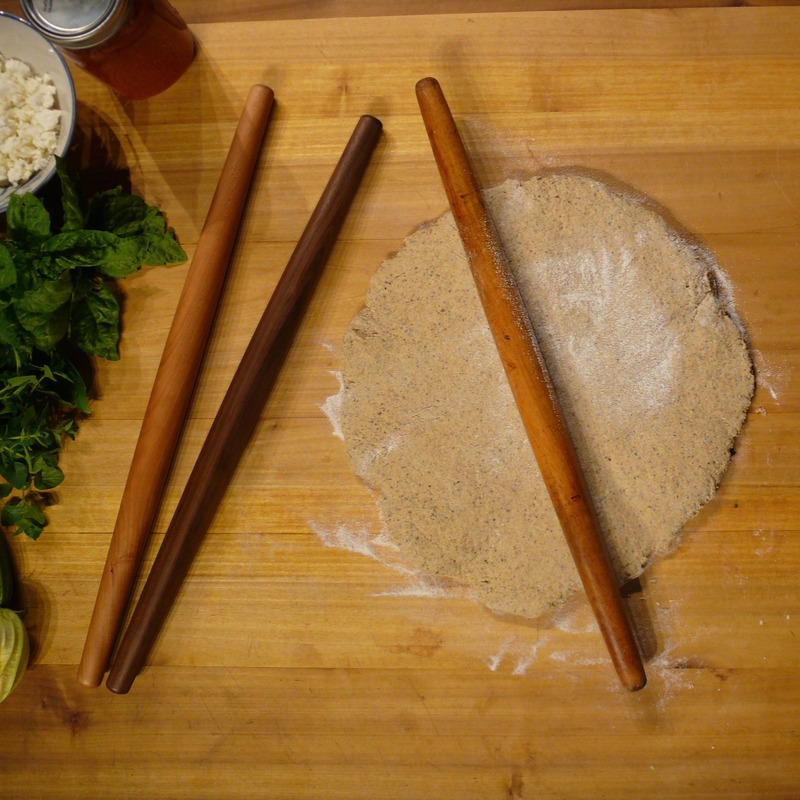 Their rolling pin was carried on a boat from Hungry to America and has been in use nearly every day since. I make replicas of this family heirloom on my wood lathe with Cherry & Walnut wood. They are 20" long and 1 3/8" thick at the widest point. 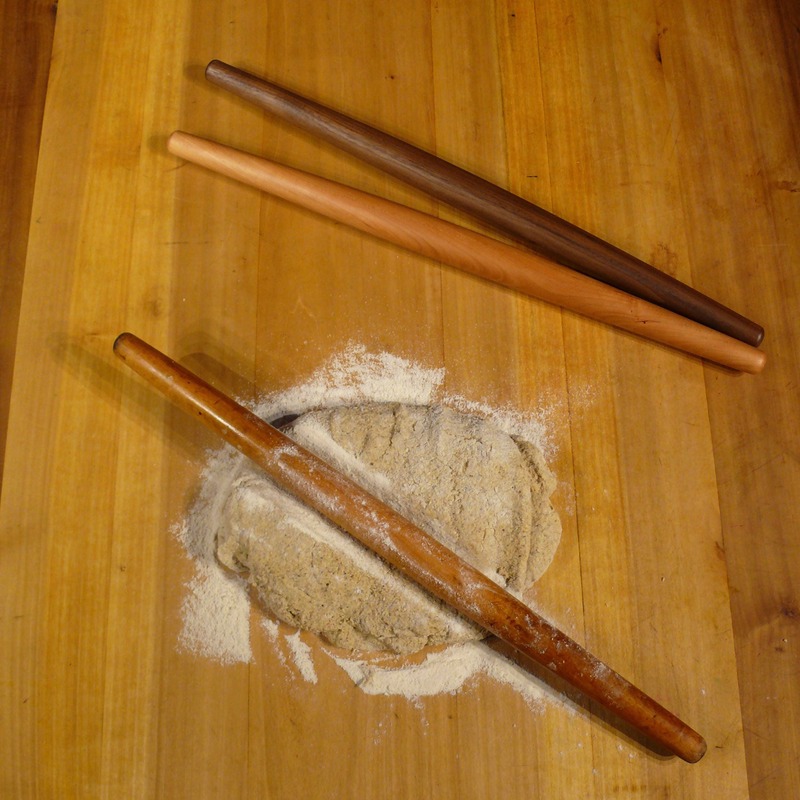 The rolling pins are finished with a food safe FDA approved tung oil and citrus oil blend. Tung oil naturally hardens and does not go rancid the way vegetable oils can. Excellent and longer lasting natural alternative to mineral oil. The tapered edges help make this pin very versatile. 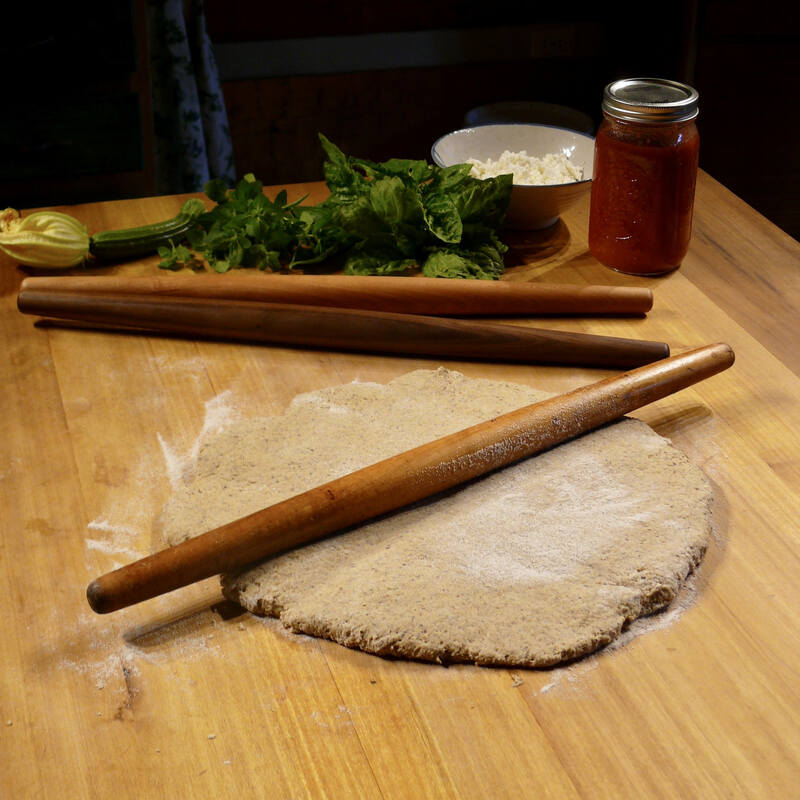 Crusts can be rolled paper thin with this tool. 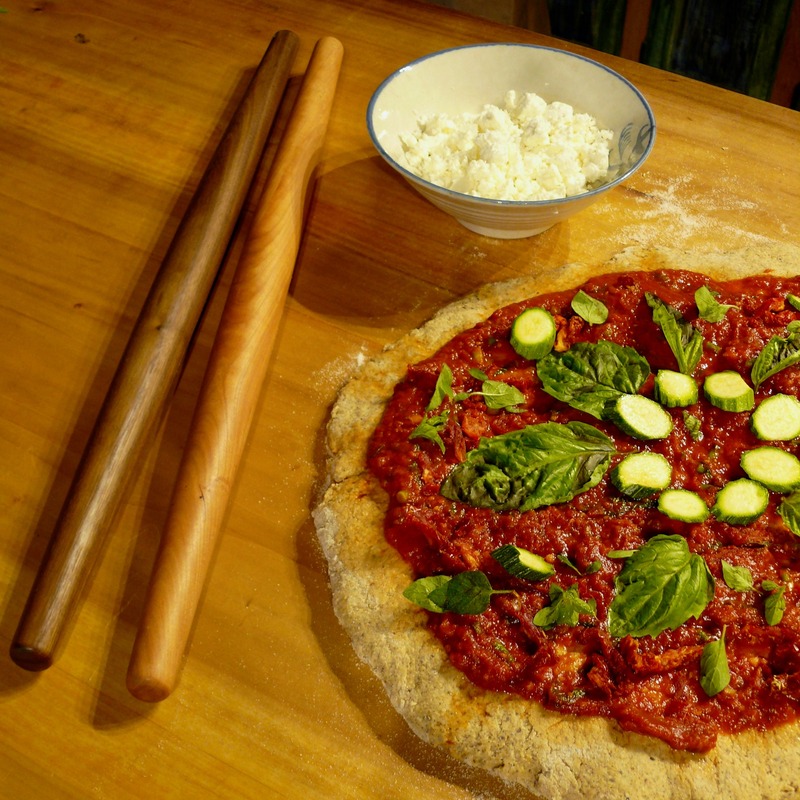 It works great for pies, biscuits, pizzas, homemade pastas, pastries, crackers, etc. It makes the perfect gift for him or her and will last for generations to come. Many chefs prefer the walnut wood because it has a more porous surface that holds a dusting of flour longer than most other woods. Others prefer the lighter look of the Cherry wood. Each pin is uniquely beautiful. 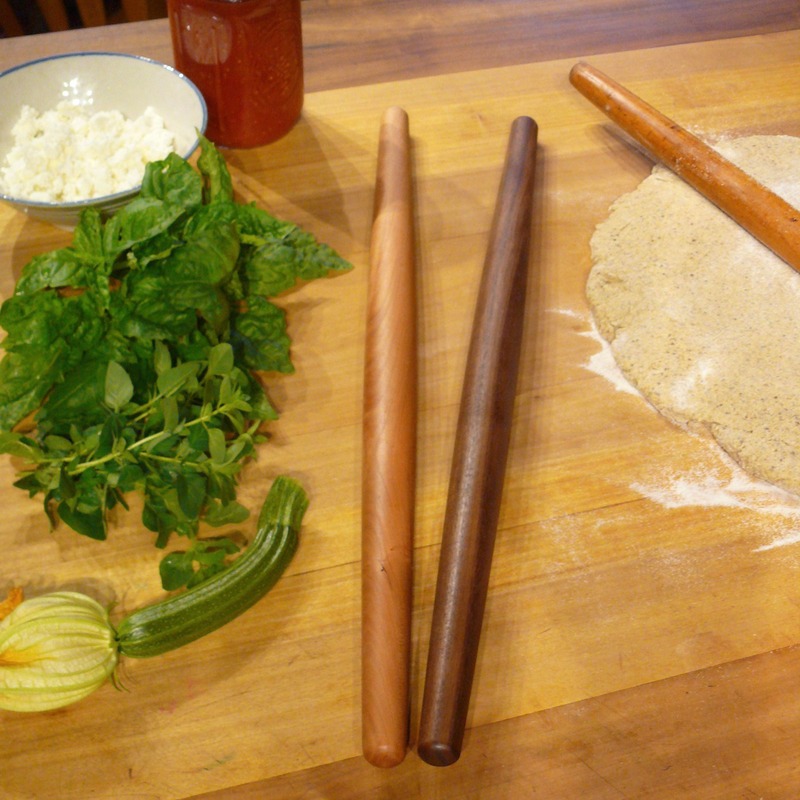 You'll receive a rolling pin that is similar to the ones in the pictures, however, there will be slight variances in the wood grain. Beautiful rolling pin, love it, thank you so much! Quick shipping too! What a joy to hold, it’s smooth as silk. Oh and it rolls pie dough like a boss. Heirloom quality.